'S e loch ann an Alba a tha ann an Loch Carrann (Beurla: Loch Carron). 'S e loch-mara a th' ann. Tha e suidhichte air costa Taobh Siar Rois, far a bheil Abhainn Carrann a' sruthadh don Chuan Siar. Tha Loch Dùghaill san iar-thuath dheth. Tha na bailtean Kirkton, Tòrr nan Clàr is Stromemore suidhichte air taobh an iar-thuath Loch Carrainn. Eadar Achadh an t-Sìthidh is Port an t-Sròim tha an A890 a' ruith air bruach a deas an locha, far a bheil na bailtean Atadal is Aird an Arbha nan laighe cuideachd. Chaidh an rathad a thogail ann an 1979. Tha an rathad-iarrainn Kyle of Lochalsh Line a' dol seachad air taobh deas Loch Carrainn, tha stèiseanan ann an Atadal, Port an t-Sròin, Dùn Creige agus am Ploc. 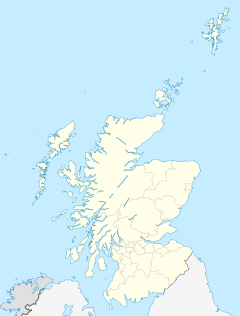 Air a tharraing à "https://gd.wikipedia.org/w/index.php?title=Loch_Carrann&oldid=526443"
Chaidh an duilleag seo a dheasachadh 9 dhen Fhaoilleach 2017 aig 19:39 turas mu dheireadh.